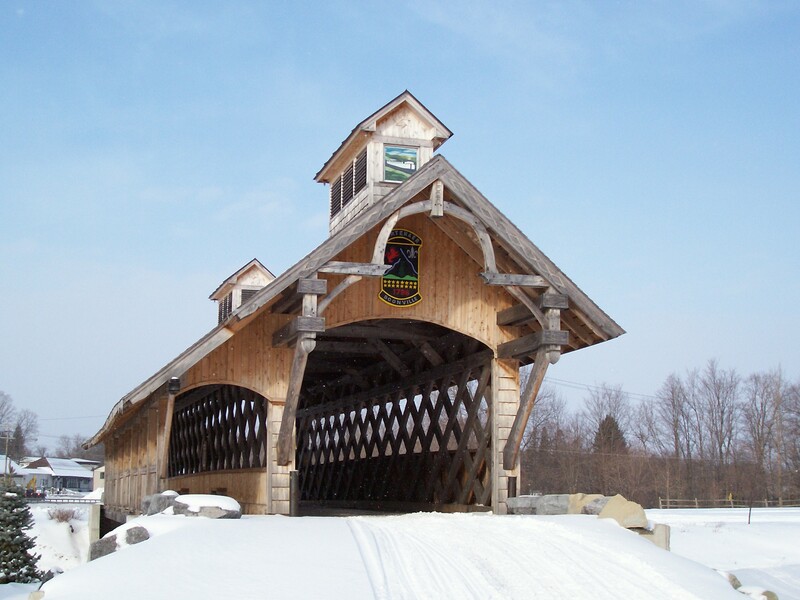 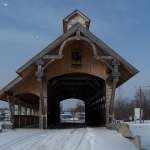 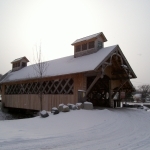 The Erwin Park Covered Bridge is the only existing covered bridge still standing in Oneida County and is owned and maintained by the Village of Boonville and carries pedestrian and snowmobile traffic across the Black River Feeder Canal. 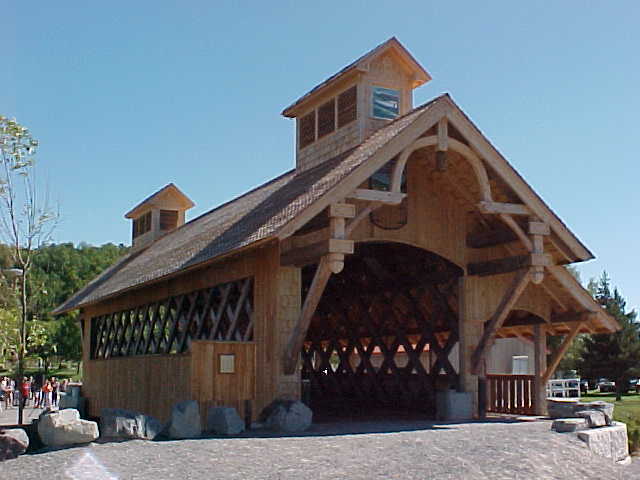 Built by Robert Klossner and H.N. 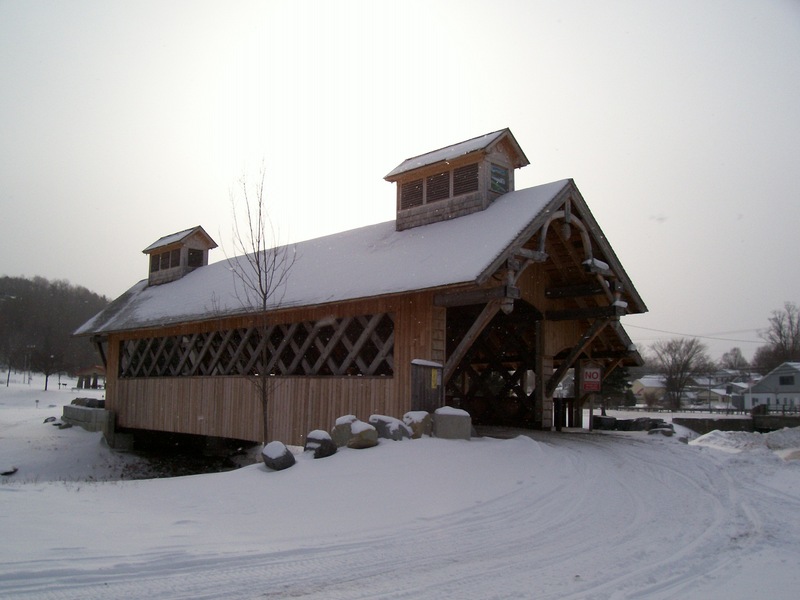 (Mac) Waterman in 2005, this 70-foot-long, single span structure incorporates the Town lattice truss design patented on January 28, 1820, and again in 1835 by Ithiel Town of New Haven, Connecticut. 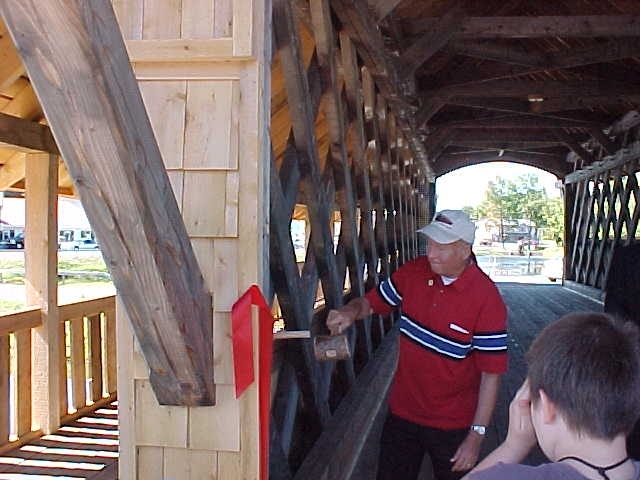 The 12-member Erwin Park Covered Bridge Committee planned and promoted the building of this covered bridge. 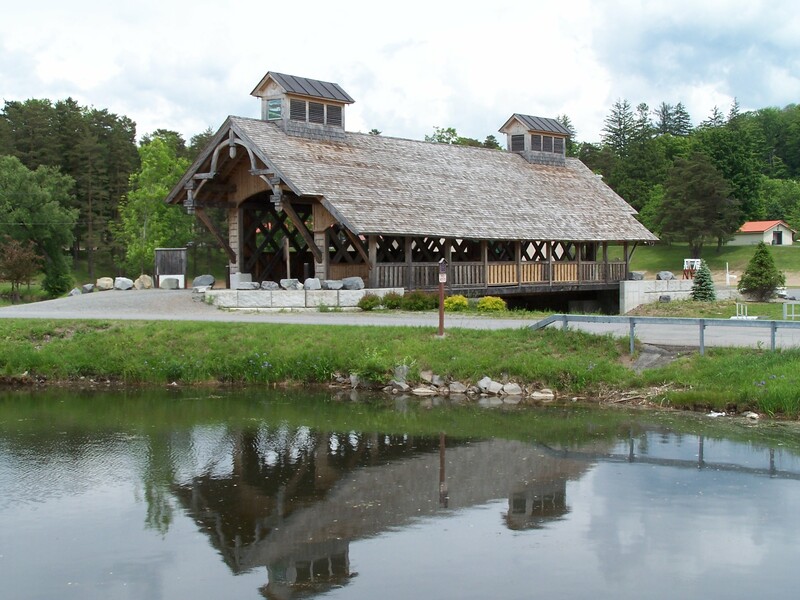 The bridge spans 70 feet and the deck is 24 feet and accommodates a 14-foot driving area and a 6-foot walkway. 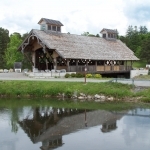 Total construction cost was approximately $150,000 with construction funded by the New York State Office of Parks, Recreation and Historic Preservation Office and a donation of $20,000 from the Iroquois Pipeline Company. 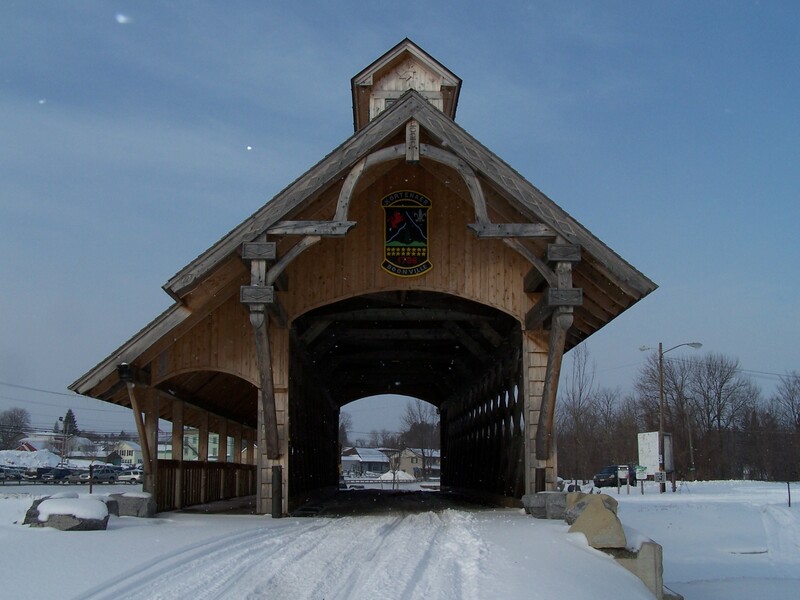 The bridge serves pedestrians, bikes and snowmobiles accessing the Black River Canal Museum. 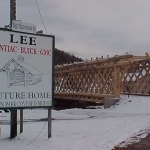 When visiting this bridge, notice the details and handmade items put into the bridge. 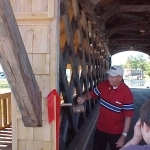 The shingles were handmade on an antique shingle machine and wooden pegs were used to hold the bridge together. 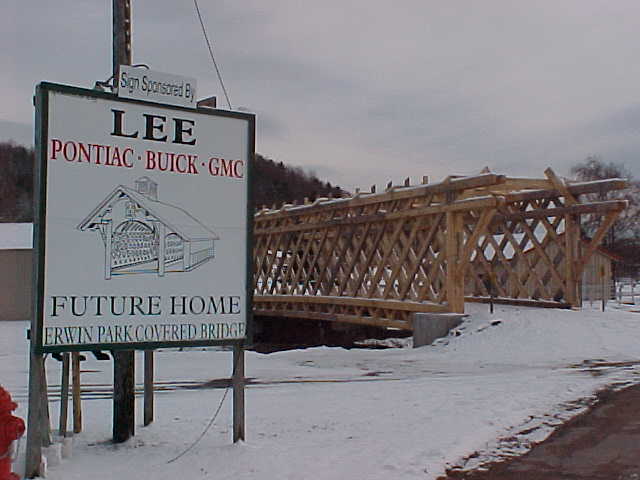 There are hand carved signs on each end of the bridge with the Town of Boonville logo on the north end and the Village of Boonville logo on the south end. 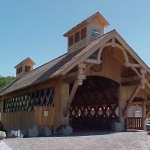 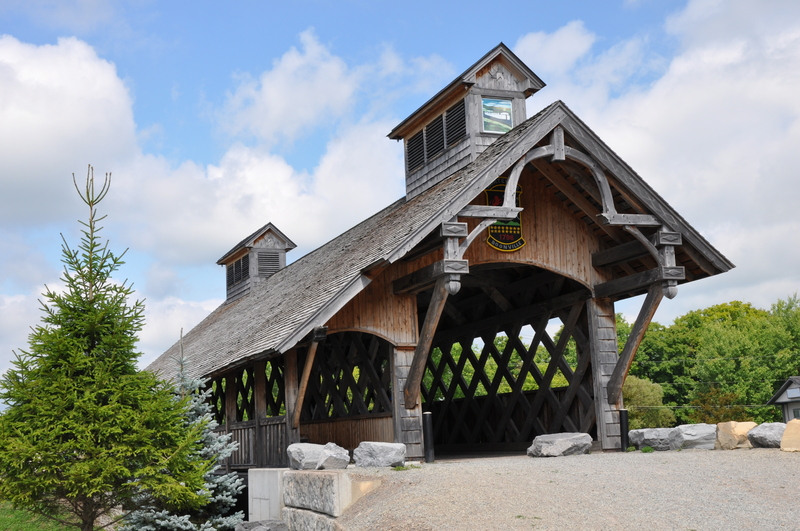 Other than the actual statistics, there is not a lot of history to share on the Erwin Park Covered Bridge since it is one of New York’s newest covered bridges, but it is well worth a trip to visit it.